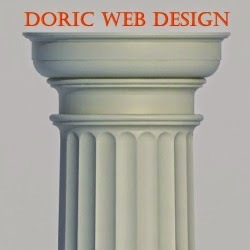 Doric Web Design: Must Read Report: The Internet’s Latest Disruption – Knowledge. The digital mutation is also profoundly disrupting how knowledge is acquired, organized and shared. Knowledge is an intangible, yet strategic asset of any enterprise. With businesses becoming more virtual and dematerialized, its value is patently and rapidly growing. How does the enterprise adapt its Knowledge management practice to the digital age? Did the web annihilate the older knowledge management paradigms? How can the enterprise benefit, and not succumb, to a web-driven, pervasive and real-time knowledge? We at Scoop.it have noticed amongst our business clients a growing concern regarding the evolution of Knowledge sharing; we’ve run a survey (500 respondents) to better comprehend the challenges, objectives and stakes. Let’s share some insights. But first, what exactly is knowledge and why should large enterprises care? Some languages offer two words to translate knowledge, and the difference is interesting: for example, the French distinguish between connaissance and savoir. Connaissance refers to objective data and information, acquired by means of learning and understanding. Savoir refers to subjective collections of connaissance, aggregated and contextualized through a specific experience. In a sense, connaissance is raw content while savoir is curated content: carefully selected, subjectively enriched. While no such two substantives exist in English, this subtleness is nevertheless captured by two adjectives: I’m cognizant of a fact but I’m savvy in my field. How is it relevant to the enterprise? Connaissance (raw data) is of course necessary to the enterprise but it has become almost trivial, commoditized. What is strategic is savoir: contextualized, field-specific, actionable knowledge. Being cognisant is table stake; being savvy is the objective! Knowledge sharing strategies are required. How did the web disrupt Knowledge Sharing? From Benjamin Franklin (“An investment in knowledge pays the best interest”) to Bill Gates (“How you gather, manage and use information will determine whether you win or lose”), there is no shortage of wise people reminding us the value of knowledge. This is not web-specific. How we acquire, organize and share it: this is web-specific. The enterprise knowledge sharing strategies need to adapt to the new paradigms. Knowledge is now real-time; by the time your enterprise will just think of producing a formal piece of knowledge, the web will have produced – and made obsolete – hundreds of related pieces. Organizing yearly training session is good: we all need synchronization points. But on-going education is way better. There is more knowledge is the outer web than you will ever produce – even about you! Of course, the enterprise will always possess this secret sauce, these patented know-how that will remain unique and private. But the rest of the world also produces lots content relevant to you. Open up, listen, use, repurpose! Everyone is an expert. Everyone has access to social media, blogs, wikis… and appropriate tools to filter and monitor. Knowledge dissemination is no longer one-to-many. Leverage your experts where they are (R&D, support, sales, HR) to capture knowledge. Share knowledge across the functional silos. The new knowledge sharing paradigm in the enterprise is real-time information, in an open world, with pervasive expertise. The enterprise needs to adapt… or die. It increases the amount of relevant content available to the enterprise content strategy. Indeed, qualified knowledge is quality content and can be redistributed externally to demonstrate thought leadership, feed a community and an audience. And every enterprise needs lot of it. And it does not cost much resource, since every one in the enterprise is already an expert who discovers, reads, analyzes, filters lots of content… it is just a matter of adding this clever, pertinent little effort to capture and share the best of it! Conclusion: Knowledge Sharing makes you stronger. Adapt. Don’t die! The benefits of Knowledge Sharing in the enterprise are numerous; it contributes to the excellence and to the sheer power of the enterprise, in many functional processes, including Business Intelligence, Human Resources, R&D, Marketing and Sales. The enterprise certainly needs to invest some efforts to adapt to the web-driven knowledge cycle, which made the old barriers (time, space, function) obsolete; but the opportunity to grow stronger and faster is proven and the returns are substantial and tangible. And, given the appropriate procedure, mind-set, and tool, the benefits are easy to harvest. By entering the enterprise, the web forced it to evolve… but for the better. Want to know more about Scoop.it KS solution? Contact us.